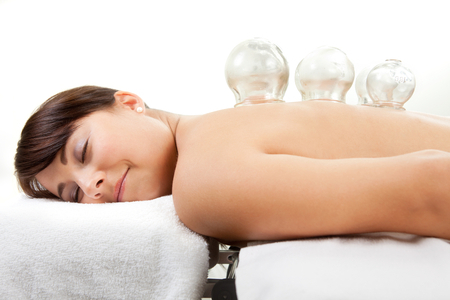 This past Saturday on the Natural health Show my topic on Radical Remedies was cupping. What is cupping, other wise known as Cucurbitas ponerae in Latin? It is a medical technique using small glass jars, first heated on the inside with a slight flame to create a negative pressure within the jar, and then quickly placed on the chest or back of a patient suffering primarily from respiratory infections such as pneumonia. The technique utilizes twenty to forty jars and was used in ancient Chinese and Arabic medicine and is actually still used prevalently in Eastern Europe. I decided to bring up this topic because as a child I suffered from frequent pulmonary infections and one day my parents took me to a monastery when antibiotics simply failed to work. A group of nuns laid me down on my chest and used the cupping technique on my back. And guess what? My infections stopped. For centuries the practice was based on the premise that these suction jars literally sucked blood to the skin surface and in this way stimulated circulation and consequently brought toxins produced by theinfection and inflammation to the skin surface (to be eliminated by sweating) and hyper activated theimmune system to fight the infection. Sometimes small incisions were made on the skin surface under the suction jar to draw out the blood. This more radical version of the practice simulated the same effect as medicinal leaches (covered in one of my previous blogs and on an episode of Radical Remedies). Another reason why I find this topic intriguing is because our society is becoming plagued by many respiratory infections caused by bacteria that are becoming more and more resistant to our modern antibiotics. The reason for this is two fold. First, like any organism, bacteria undergo natural selection when exposed to any stress in the environment. In this case the stress for them is the antibiotic itself. When we take the antibiotic it kills the vast majority of bacteria that we are trying to eliminate. But once in a while there will be one or a few bacteria that have such a spontaneous mutation in their genetic code as to make them resistant to the antibiotic. From this one bacterium a new population of new bacteria can be formed, all of them inheriting this resistance to the medicine. This process occurs more often when we do not take the antibiotic for the recommended time (which is usually much longer than the time required to make the symptoms of our infection go away) and when antibiotics are over prescribed by doctors. This second reason is actually why many of these resistant pathogens are acquired in hospitals where most resistance to antibiotics occurs due to the prevalent use of these medicines. A famous example is the Methicilin resistant Staphylococcus Aureus. There’s something very serious to consider here. Consider the frightful thought of humans over using antibiotics to the point where they stop working completely! Let’s all make an effort to help avoid this by turning to natural remedies first to fight off our infections. If they fail then it’s time to turn to antibiotics. I don’t think it will ever come to the point where we will need to depend on cupping, but it is a relief that it can work in some situations! Categories: Immunity, Radical Remedies, by Dr. Karol | Tags: baby, cold and flu, kids | Permalink.